Rich Lansdale has been in the restaurant industry for two decades helping run his family’s restaurants in Washington, D.C. He writes about his experiences in an effort to help those just starting out and those struggling to make it. One of his favorite things to do is host dinner parties for friends and family. As a restaurant owner, you have probably heard a lot of talk about something called Paleo. 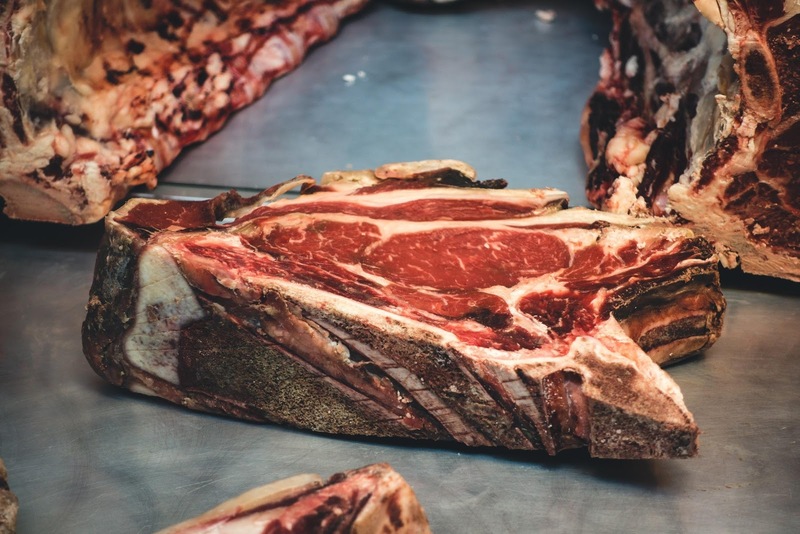 The Paleo Diet is a very specific eating style that, unfortunately, is keeping a lot of your potential customers at home in their kitchens to make sure they don’t stray from their eating guidelines. This new approach to food can seem a bit limiting or even overwhelming, but, with some basic considerations, you can keep your less picky eaters happy and bring in the more demanding ones all at once. Paleo is an aversion to grains, sugars, and over-processed foods. If you are already whipping up your own sugar-and-soy-free sauces and dressings, as well as designing gluten-free desserts, you have nothing to worry about. If you are cooking in a more conventional style, you may be keeping a whole customer base away from your tables. Some of the things paleo eaters avoid are wheat, (meaning no pasta or bread made with traditional flours), other grains like rice or corn, dairy, and food containing sugars. Starches are an issue, and paleo keeps its devotees away from white potatoes, though other tubers like sweet potatoes or cassava are fine. Most people eating paleo also stay away from alcohol and caffeine, making them less likely to order from the espresso or traditional bar. What Do People on a Paleo Diet Eat? Here is what your paleo-eating customers are looking for. Lots of good proteins: grilled or smoked meats, great seafood from sustainable sources, and locally raised poultry. They also prefer in-house dressings; steamed, sautéed, or raw vegetables not covered in sauce; and dishes free of beans or additional grains. How Do You Make Your Menu Inviting to Paleo Dieters? Here are some basic things you and your head chef can do to keep your menu as inviting and delicious as possible without excluding the paleo eaters. While they can cost more, if you can offer a bread made with cassava or banana flour, your customers will be quick to order them. Not only is this a great option for people watching what they eat, but it also helps anyone with a wheat allergy or sensitivity to gluten. You can charge a bread basket fee to take the sting out of the extra cost. Also, you can use almond meal for the breading of any crusted protein like chicken tenders or fried shrimp. Review your oils and their alternatives. Many paleo dieters avoid restaurants simply because of the canola and soybean oils that so many restaurants buy in bulk. These oils are on the NO list, thanks to their omega-6 fats and their highly inflammatory properties. Yes, soybean and canola oil are huge money savers, but they aren’t healthy, and, if we are truly honest with ourselves, they do not add any flavor at all to the foods we sauté or fry in them. The paleo diet favors fatty, flavorful oils such as duck fat, lard, or coconut oil. Other oils the paleo crowd gives the nod to are palm, grapeseed, and flax or nut oils, excluding peanut oil. While these cooking fats do add cost to your budget, the good news is they’re also extremely flavorful and a lot more than the paleo eaters will be happy to pay the extra few dollars. Just imagine lots of glorious, golden brown finishes to any of your roasted vegetables or chicken, and an unbeatable flavor. This is one corner you won’t want to cut anymore. Talk to your kitchen about making more sauces. Paleo aficionados often avoid sauces and dressings, as they tend to add sugar and soy or peanut oil, or simply contain cheese or buttermilk. However, if you are willing to develop your own homemade dressings and sauces to your menu, this will eliminate the problem. There are some wonderful paleo sauce recipes out there for anything Asian, Mediterranean, or Latin, and you can easily keep them on order for your customers. Also, be ready for requests of sauce on the side and talk to your servers about any requests or questions they might be getting from their tables. If a lot of people seem concerned about the chance of soybean oil or high-fructose corn syrup living in their dressings, you may have a fresh batch of paleo eaters on your hands. Another great option, if it’s feasible for your kitchen, is freshly made mayonnaise. This may seem like a lot to undertake, but consider offering farm-fresh egg mayonnaise for your guests. It will help your restaurant stand out and bring in customers who might otherwise pass on by. There’s more than one way to cauliflower. 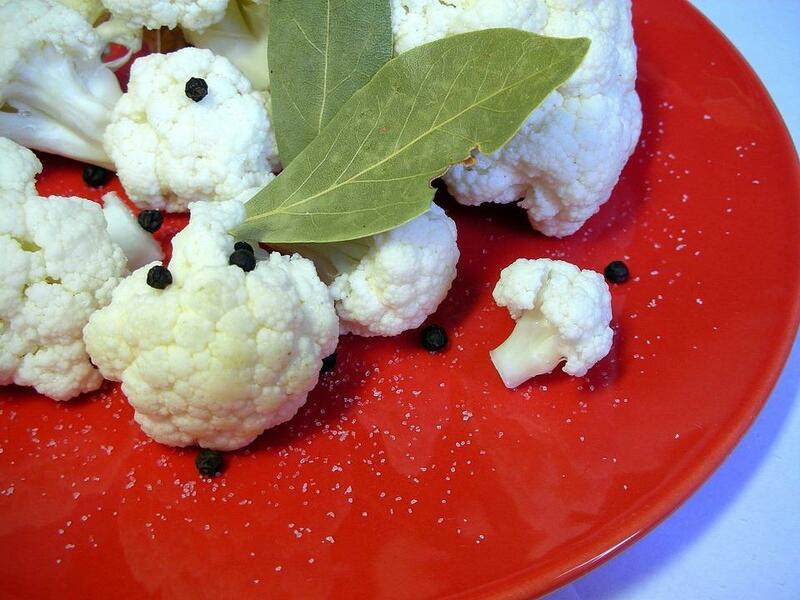 Because the paleo diet tends to eschew potatoes (too much starch), it glorifies the cauliflower. Mashed, riced, or simply roasted, paleo families absolutely adore this weird, often overlooked vegetable. Why cauliflower? It is simply because it has that basic, non-invasive taste that can complement a meat so well or become a mild, blended soup. You can rice cauliflower in your buffalo chopper to make it a side dish and cook it in a dry pan and keep it plain, or flavor it with some basic garlic or other herbs. Keep it raw for more of a tabbouleh approach. Cauliflower is also great mashed, or roast it whole for that crispy on the outside soft and melted on the inside taste. Feature this nubby, neutral veggie on your latest plates and get ready for the compliments. And, finally, we come to dessert. A paleo dessert is a tricky one. You may just want to offer fresh fruit in lieu of the more complex, demanding recipes that a paleo home baker is accustomed to. However, if you offer fresh baked goods at your place, there are some ways you can include your non-wheat eaters. First, replace white flour with coconut or cassava flour for cakes, pie crusts, or other starchy elements. Almond flour is great for desserts, as it bakes up crunchy and offers a warm, toasted flavor. Then substitute in almond, coconut, or cashew milk in place of the dairy in your recipe. Butter can be replaced with coconut oil or just go ahead and use a whole fat, high-quality butter. Refined, white sugar has come under a lot of scrutiny lately, and many people are either cutting back on this ingredient or leaving it behind. 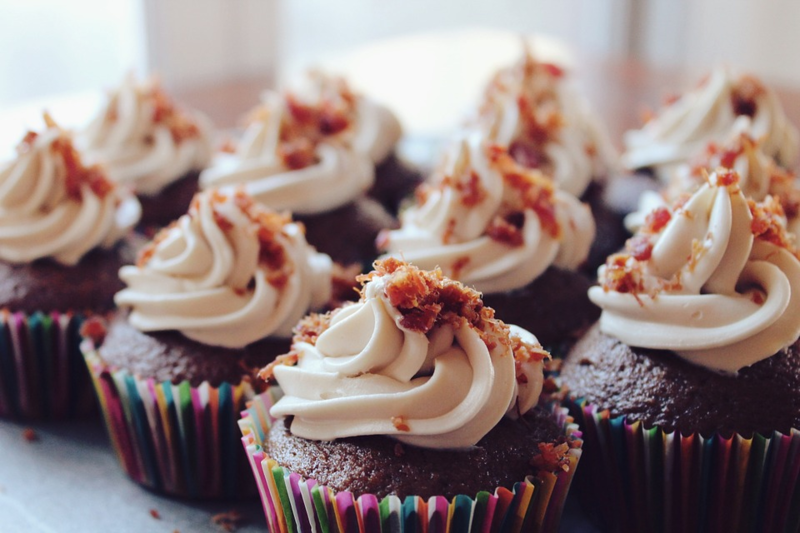 You can still sweeten your desserts a lot of ways; dates, liquid sweeteners such as agave or maple syrup, or just fruit juice. Yes, the flavor will change, but, with some experimentation, you can find the right balance and make your healthier desserts shine. Of course, you don’t have to accommodate any special diets in your restaurant, but, why wouldn’t you? Show your customers you are thinking about them, happy to help them out, and dedicated to making delicious food. Play around with some of your ingredients, and you will be happy with the results and the extra-long waiting list of customers begging for a seat at your table.